University of Wisconsin staff members invited students and community members to join and engage in the celebration of the Chinese New Year Thursday. The event took place in Varsity Hall of Union South from 11:30 a.m. until 12:30 p.m.
With a long line of students, staff and community members excitedly waiting to enter the hall, the energy for the upcoming holiday was more than present. 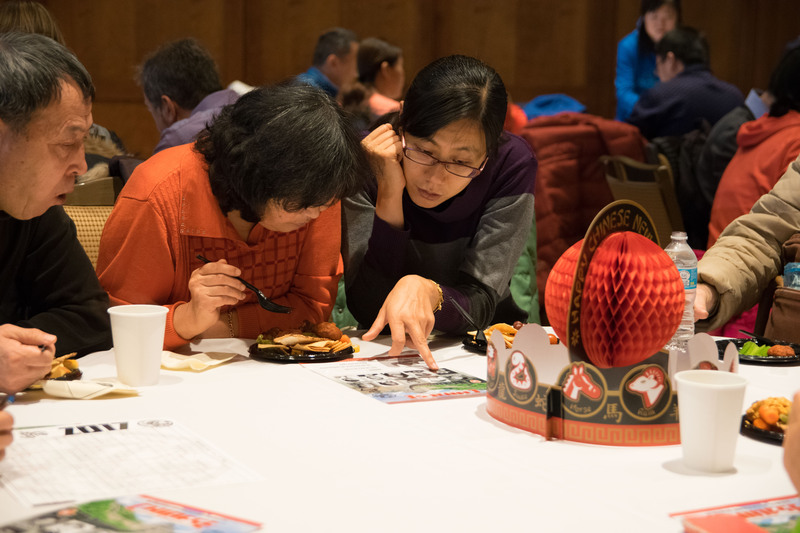 Tables and chairs were set up for attendees to gather together and listen to informational presentations on the Chinese New Year, including rituals and traditions that often occur throughout the 15-day celebration. During the presentation, attendees were able to indulge in complimentary snacks — an assortment of vegetables and hot and cold beverages. New Year’s Eve in China is very similar to what it may be like in America, with a countdown and the typical kissing at the strike of the New Year. What separates the two cultures is the next two weeks to come. The first seven days include a period where many enjoy the act of setting off firecrackers, traveling to visit relatives for dinner, offering sacrifices to ancestors and giving children red envelopes with money inside. Red symbolizes good luck for the New Year to come. Another common activity includes attending or participating in lion and dragon dances. On the eighth day, government buildings will begin to reopen, a sign that many others are returning to work as well. In China, eight is considered to be the luckiest number, thus, citizens wish to begin the New Year with the best luck possible. But while this may be a common sign of a holiday period ending, there is still more to come. One of the most important events occurs on the 15th day of the holiday, where many engage in lighting and watching lanterns float away. In addition to this, many eat what is referred to as a “glutinous rice bowl.” Rice in the shape of circles, in honor of the full moon, is always present on this night. After the presentation, Jane Zhang, a staff member from the School of Business, sang “Hair Like Snow,” a traditional song recognized in China. While she sang in the Chinese tongue, the English lyrics were also presented on screen to add an engaging aspect for everyone in attendance. This served as the perfect way to end the celebration, as everyone was enabled to come together to wish each other the best with the following year.